Would you like a car that offers over 100mpg? How about CO2 emissions of just 59g/km? That’s what we had the chance to drive yesterday. Two things shouldn’t come as a surprise though: it was a Toyota hybrid, and it carried the familiar Prius badge. But this was unlike any Prius we had experienced before. This was Prius PHV. We should say first off, this is a very special hybrid. Prius PHV is a glimpse of what Toyota will be offering a limited number of customers from 2012 – a mass-production hybrid car that can be plugged in and charged from a domestic electricity supply. The Prius PHV we drove is part of a 20-car lease programme that is being run the UK by Toyota and EDF Energy over the next three years. By using lithium-ion battery technology for the first time, Prius PHV is able to travel much further, and for higher speeds, on electric power alone, compared to standard hybrid cars. This means an electric-only range of up to 12.5 miles at speeds of up to 62mph. And we weren’t joking when we mentioned fuel economy beyond 100mpg. Prius PHV delivers 108.6mpg (combined cycle) according to official tests. So what does this mean for new car customers? The lease programme will allow Toyota and its partners to analyse the real-world viability of plug-in hybrid vehicles. By working with EDF Energy and the UK Government, Toyota is leading the way in ensuring mass-production plug-in hybrids aren’t just possible in theory, but are practical – and affordable – for every day use. Although we only had a short time with one of the lease cars, we could see the potential first-hand. In heavy London traffic, Prius PHV drove exactly the same as the Prius currently available in Centre showrooms. The only difference was that we remained in EV (electric vehicle) mode the entire time. With the potential to travel for the majority of short journeys with zero fuel consumption and nil exhaust emissions, Prius PHV is a very exciting prospect for the future. Advances in battery and recharging technology should mean that, by the time you can order a Prius PHV, its batteries will be lighter, cheaper to produce and more effective, than the ones currently being trialled. With a 1.8-litre VVT-i petrol engine in reserve, space for four adults and a good size luggage compartment, Prius PHV offers impressive environmental advantages in a versatile, practical family car. We’ve seen another step forward in Toyota’s plan to build the ultimate eco-car – and we can’t wait for the production version in 2012. To see Prius PHV in action, click the video below. For more pictures, check out our Flickr gallery. Update 17/3/11: You can register your interest and sign up for the latest news on Prius Plug-in Hybrid here. Behind the scenes with Auris Hybrid: How well do you know your hybrid technology? Connie, Well done, you superstar! Enjoy riding that cloud … you’ve earned it. I understand that there is a plug in conversion available for current prius models via Hymotion in the US. DO you know if this will be available in the UK anytime soon? We are not aware of such conversions being available in the UK and unfortunately Toyota (GB) PLC cannot make recommendations or provide technical assistance to modifications outside of the manufacturer’s specification. We must also point out that if you decide to make modifications to your vehicle that are not in line with the manufacturer’s specification, even though this will not automatically invalidate your warranty, if any part fails as a result of the modification, the manufacturer’s warranty will not cover the cost of repair. You will also need to notify your insurer about any modifications that you’ve made to your vehicle. Hi, I am still concerned about the charging of the auxilary battery, particularly when the range under pure electrical drive increases say to 160Km or more. As I understand the synergy drive the auxilary battery is not charged until the petrol engine cuts in. Is this so? Secondly with inductive charging the closer the inductive loops the higher the efficiency. Could the action of putting the car in park be adapted to also to advance the car-born inductive loop to to the surface of the in- ground loop. Thereby increasing it efficiency. BMW and Siemens are closing on Toyota’s industry lead by launching a safer inductive charging solution. While I am sure Toyota is gaining valuable insights from the current cabled solution trial, I do hope that the new Toyota Prius Plug-in Hybrid will be launched with cable free inductive charging capability. I understand that the inductive charging isn’t new but that there is about a 10% loss in efficiency using it to charge a car. It would be of massive use to me as a taxi driver as you just drive back onto the rank and start charging up again with the freedom to just drive away when you get a fare (no unplugging cables etc). Perhaps Toyota could look at an option for the Prius PlugIn or maybe for the generation 2? The Prius is a great vehicle, just right for the leaner 21st century. However there are areas this it could improve on. The Sat-Nav is poor in comparison to aftermarket Sat-Navs. The postcode input is woeful, and the sequence to get your destination on the map is poor, this needs revising. These are software issues and could be sorted in an update to all owners. There is no cubby box lamp, there is no self dipping mirror, two items that would help make the car more of an icon. On most £24k vehicles, you’ll get these little bits to keep you sweet, no so on the Prius. The seats whilst cumfy, are lacking in flexibility and need to be revised to suit all owners of any size. The T Spirit is a top of the range car, so let’s have some more top of the range items included. I love our Prius T Spirit and my wife loves hers. We refuse to go for any other ‘green’ car as the Prius is the car for us. Please pass my remarks to those who decide specification. I would like to be considered for the Plug in Prius trials. Thanks for expressing your interest in being part of the Plug-in Hybrid trial. Unfortunately, there were only 20 vehicles allocated to the UK to take part in these trials and the remit we received from our European HQ was for the vehicles to be used on a commercial basis rather than private use. The purpose of these trials was to gather real world data with the vehicles being used as business cars to help shape the final specification of Plug-in hybrid when it is introduced to our market in next year. The vehicles were divided between various organisations, which included the Government Car Despatch Agency, large fleet users of Prius and EDF Energy (to help with the development of the charging posts). There are similar trials taking place in other European Cities for the same purpose. We are developing this vehicle to expand the capabilities of Hybrid Synergy Drive, to function as a normal Prius with true long range capability and to address the issue of “range anxiety” a term associated with pure EV’s. You can register your interest and sign up for the latest news on Prius Plug-in Hybrid here. Further to my comment on the Auris Hybrid in connection with Prius developments, can you say whether or not Prius+ will have a teloscopic and tilting steering wheel. This may help in relieving leg and back pain which I experience on the Mk2 Prius. I have long legs and drive with the seat set to its highest point and fully back. I would like to have a front passenger seat which is fully adjustable too for when my wife takes over driving to give me a break. The final specifications for the production model of the Prius+ have not been confirmed yet. But thanks for your feedback – I’ll pass this onto our product team. I have proudly owned each generation of Prius over the last 10 years and greatly look forward to the launch of the 4th generation Prius PHV. The SatNav is not User friendly and will not even accept 6 figure PostCodes – other stand alone SatNavs are superior e.g. Garmin, TomTom etc – the former I tend to use instead. The cost of updating the software is rediculous and one could buy 2 stand alone SatNavs for the cost. I commented on this for my 2nd and 3rd generation cars several times but have received no feedback at all. Why was the Ice Warning feature removed in the 3rd generation Prius, I found this a very useful safety alert. After a couple of hours I feel most uncomfortable driving the current Prius as my thighs start aching. There was no problem with the previous cars and I have tried adjusting the seat to no effect. Has anybody else found this and has the driver’s seat changed in design? I was interested in the Artic experience report in the latest magazine. When a particular fairly steep hill nearby is icy my Prius is like a stubborn donkey and will not even attempt to move forward, not a wheelspin or wheel movement at all so I just have to reverse. An override to the vehicles sensitive drive sensing system would be useful in such circumstances. I hope the above are constructively useful and I am keen to advance my Prius experience. It’s great to hear from a loyal Prius owner such as yourself, and we greatly appreciate your feedback. I will pass on your thoughts to our product team for future consideration. Hi Toyota, I have driven the Mark 3 Prius and the Auris Hybrid whilst my Mark 2 Prius was being serviced. I hope the Prius+ version will not revert to the Instrument display of the Auris, where you have to look through the steering wheel to see them. I very much liked the head-up display of the Mark 3 but found some of the symbols too small to take in quickly. I am very happy wuth the instrumentation of the Mark 2 Prius and also the postion of the drive selector as it requires minimum movement of the hand from the wheel. However I suppose that the postion of the drive selector of the Mark 3 Prius will probably be fitted to the Prius+, but please do do fit the the drive selector stick of the Auris Hybrid. I found it too angular for my hand and would prefer something more rounded. Thank you for your feedback. I’ll pass on your thoughts to our product team for consideration for future models. You said batteries(i.e. plural) in your reply. Does this mean the charger will top up the auxilary battery too? This would be a good for those odd occassions when a flat auxilary battery will not allow the car to start. This has happened to me and i ahd to call the AA. My previous response refers only to the lithium ion hybrid battery, the conventional 12v battery will not charge with the Prius Plug-in Hybrid is plugged in. Hi,I have a mark 2 Prius registerred 05, and have had no trouble with the battery charge state running around Somerset and on long trips to Yorkshire and Scotland. There has always been sufficient residual charge in the battery at the end of each trip for the next trip. With the plug-in Prius will there be any danger of over charging the new battery when charging during the night? Is there an automatic reduction of the charging rate as the battery reaches full charge? The Prius Plug-in Hybrid will be equipped with a smart charger that will stop charging once the batteries have reached their capacity and therefore prevent over charging. It seems many people are volunteer to be the first to try/buy the plug-in version. I wish Toyoto consider some sort of “real public” test scheme before production as well rather than just very narrow government/commercial organisations. This way they get much better feed-backs. For example first thing I noticed is the charging power cable. Its not practical and very open to be vandalized when charging. Why not develop a more practical charging cable system, just like the vacuum cleaners one, self retracting cable. this plug-in hybrid uses Lithium-ion cells, as opposed to the Ni-Cad conventional old Prius? Would this be classified as an EV-Range Extended Prius then? If the EV only range is extended using Plug-in Hybrid technology? Is the GM’s Chevy Volt also similar as a plug-in range extended hybrid, yet with a much larger kWh capacity and EV range up to 40 miles / verses 12-13miles per prius charge? Yes, the Prius Plug-in hybrid vehicle (PHV) does use a Lithium-ion battery, as opposed to the nickel-metal hydride battery in the current third generation Prius. This doesn’t class it as a range extended EV however. The Prius Plug-in hybrid has all the benefits of a full hybrid plus the added range of 12 miles on battery only after being charged. A full hybrid means that PHV can be powered by the petrol engine, the electric motor or a combination of both once the 12 mile charge has been reached so combating the issue of ‘range anxiety’. Range extended EV’s use the internal combustion engine in a secondary support role to the electric motor, this enables a larger EV range but requires a much larger battery to do this. I have been driving a Prius Hybrid for almost three years and I am happy not just about its fuel economy but also its everyday use as a family car. It will be interesting to see how the next generation plug-in Prius will compare against some unexpected fierce competition from Electric Vehicles in this emerging automotive sector. With the growing charging infrastructures for domestic, at work and public charging including fast charging capability, you will never need to visit a patrol station again. I endorse Pete’s comment Ron, don’t hold your breath as I similarly “volunteered” to join the queue in August last year and similarly have not received any response from Melissa to that or any other of my comments. A pity as I have received a courteous dialogue with previous comments when I owned generation 1 & 2 Prius’s. I’m sorry to hear no one replied to your enquiry about volunteering for the leasing programme. There were only 20 vehicles allocated to the UK to take part in these trials and the remit we received from our European HQ was for the vehicles to be used on a commercial basis rather than private use. If you scroll down, or click here, you will find a more detailed answer which I gave to Pete and Ron. Just wondering how you go about applying for a lease? Don’t hold your breath for a reply, Ron. As you can see below, I asked the same question on June 29th. I didn’t get a reply here so I emailed Melissa, who promised to forward my email to the people allocating the vehicles, but they didn’t reply. I then tried to contact them both directly and via email and phone to customer services, but didn’t get a reply to either. A one line email to say “Sorry, the vehicles have already been allocated”, would have retained my goodwill in a way that not getting a reply to several emails and phone messages failed to. Let us know if you have any more success than I did. Firstly, it is very encouraging hear that you’re interested in part of our trial with the Prius Plug-in Hybrid Vehicle. Pete, I would like to apologise that no one got back to you regarding your initial enquiry. There were only 20 vehicles allocated to the UK to take part in these trials and the remit we received from our European HQ was for the vehicles to be used on a commercial basis rather than private use. The purpose of these trials was to gather real world data with the vehicles being used as business cars to help shape the final specification of Plug-in hybrid when it is introduced to our market in 2012. 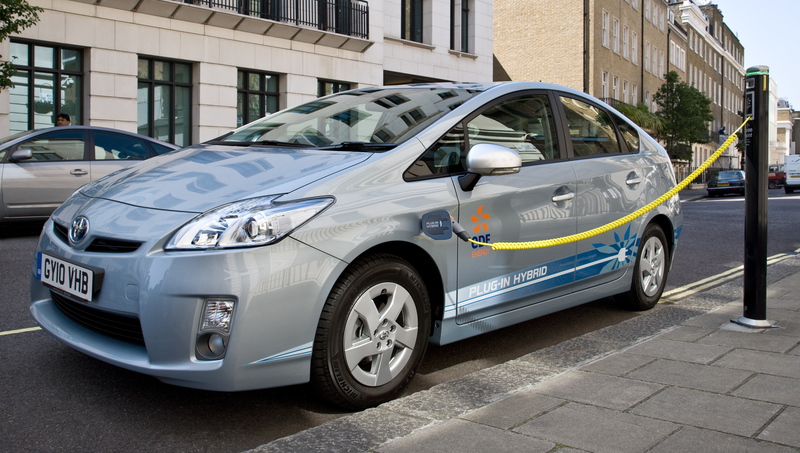 The vehicles were divided between various organisations which included the Government Car Despatch Agency, large fleet users of Prius and EDF Energy (to help with the development of the charging posts). There are similar trials taking place in other European Cities for the same purpose. Thanks again for your interest in the development of the Prius Plug-in Hybrid Vehicle. Sorry for the delayed reply. Hopefully you’ve been able to experiment with the modes a little! You don’t actually need to use any of the modes to achieve the official combined mpg figure of 72.4mpg – this was achieved under strict test conditions using no mode at all (‘Normal’). Eco mode reduces throttle response and air conditioning output to maximise mpg, but you won’t achieve good fuel economy just by selecting it – mpg can depend on a variety of factors, ranging from tyre pressure to ambient temperature. Your driving style can make a big difference, too. If you are concerned about the performance of your Prius, please do consult a Toyota Centre who will run a diagnostic check if necessary. I have managed to get my Prius taxi to cover 70+mpg over a good distance by driving on a flat road at about 50-55 mph and taking it easy. The example I’m thinking of was a trip from Harrogate to York and back again in summer, where I got an average of 73 mpg. Make sure your tyre pressures are correct as even 2 or 3 psi too low can make a difference. Interesting comment Grumppycabbie, what I have is not the regular wind turbine with blades whizzing round. It is rather radically different from what is in the market presently. So there will not be litigations and strange looking cars as you have thought. Believe me, there will be enough power generated to top the batteries during motion. I am excited to know that trials are on and there is the strong possibility that these will become the cars of the future. However, I have the technology that will immensely improve what is currently available. How about a specially constructed unconventional small wind turbine that will enable the batteries to charge while the car is in motion? This should remove the inconvenience of plugging in to recharge. I hope those in charge will read this. Well done to you guys at Toyota. Interesting idea Mr Asakue, but apart from the possible litigation that would occur from people being struck by the spinning wind turbine on the roof of the car, and the rather strange look a turbine would give the car I don’t think a small wind turbine would make any difference to the charge level of the battery. The Prius and Plug In Prius batteries are very very powerful (kw’s of power stored) and a 300w fan whizzing round on the roof, even at full speed isn’t going to do didly squat to the battery level. However, the Prius has always had regenerative braking that pumps significant amounts of power back into the battery when you brake. This is a much more efficient way of topping the battery up and also more pleasing on the eye. Melissa I would also like to join the queue but presumably you will be concentrating on large cities rather than those of us in more rural areas e.g. Cumbria? I am on my 3rd Prius, having owned from the very start and each of the 3 generations. However I have commented before that my only criticism is the SatNav – not very user friendly, unable to input 6 digit PostCodes and ridiculously expensive to upgrade. So I hope the system chosen is improved in the Prius Plug-in Hybrid. Thanks for the support, Bob! I do a lot of short journeys, so this is ideal. How do I sign-up? Sign me up too. I’d really give the Plug In a run for its money. Charged up overnight and again on my lunch break and 150 town miles a day will certainly show up any cracks. Hi. I would like to be first in the queue to lease one of the 20. How do I apply?